Hummus – from Egypt to the rest of the world! 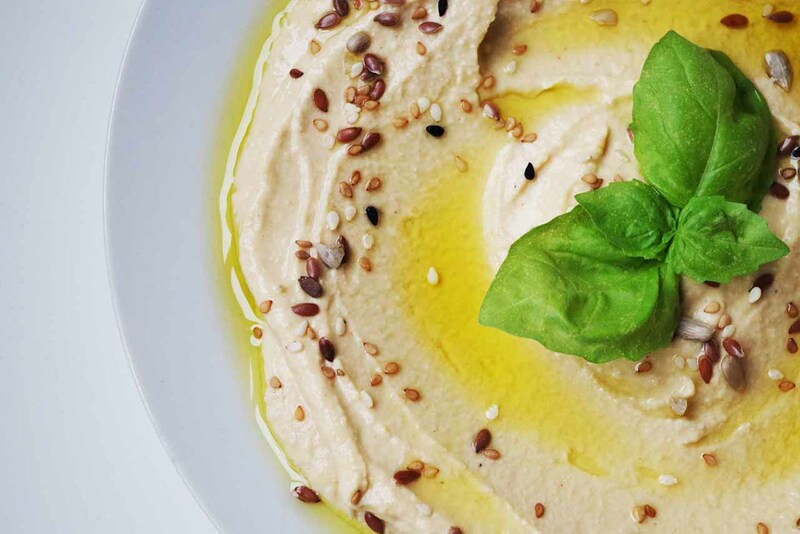 Home > News > Blog > Hummus – from Egypt to the rest of the world! 09 May Hummus – from Egypt to the rest of the world! Did you know that 13th May is International Hummus Day? We sure did, and we wanted to celebrate the popular dip by talking about its spelling, history, nutrition and its appearance in some of our dishes. Now, what’s the correct spelling? We have been spelling it houmous for decades but the original Arabic spelling is hummus. Houmous, humus and hommus are all common alternate ways to spell it and appear frequently across the UK. Made traditionally with chickpeas, tahini, olive oil, lemon juice, salt and garlic, this Levantine spread was first mentioned in an Egyptian cookbook in the 13th century. Literally meaning ‘chickpeas’ in Arabic, hummus is a staple food in the Levant region. Egypt, Israel, Jordan, Palestine, Syria, Turkey and Cyprus are all countries in this region that use hummus as either a dip, spread or mezze. Although the recipe and preparation may differ from country to country, the main ingredients remain the same. It has extended its popularity beyond this region and have spread across the Middle East and around the world. As a result, you can now find it in multiple variations at most supermarkets across the UK! This is great news for many of us vegetarians and vegans as hummus is a very nutrient-dense food. It’s a great plant-based source of protein with 4g per 1/3 cup serving. In addition to protein, you’re also getting a good dose of fibre and carbohydrates – both essential to a balanced diet. Yes, it’s not the lowest calorie dip and a serving has 8g of fat, but this is the healthy kind of fat. In fact, eating more monounsaturated and polyunsaturated fats can help to lower your cholesterol levels. Another great thing about hummus is that you can get creative and make all kinds using any bean or legume. You can also make a bean-free raw nut hummus out of soaked almonds or cashews. Simply substitute chickpeas with your ingredient of choice and voila – you have your own unique creation! At Laura’s Idea, we have several dishes that feature this spread: our Houmous Sandwiches in wholemeal and gluten-free wholemeal breads and our Falafel & Houmous Pita. They’re all tasty, vegan friendly and available at a health food store near you.